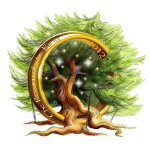 The Tolkien Society has announced its complete line-up of artists for The Return of the Ring. Exhibitors include Ted Nasmith, Cor Blok, Anke Eissmann, Jay Johnstone, Jenny Dolfen, Ruth Lacon, Tor Fauskanger, Sue Wookey and Maike ‘Lúthien’ Dulk alongside LEGO and an enormous diorama of the Battle of Pelennor Fields. It will be one of the largest-ever Tolkien exhibitions — with world-renowned artists displayed over hundreds of metres of wall-space. The Return of the Ring takes place at Loughborough University, England on 16th-20th August 2012.